An Oscar nominee, toast of the festival, and IFTA Best Film winner, Cartoon Saloon's, the animation studio behind the gorgeous The Secret of Kells, latest feature, the equally gorgeous Song of the Sea will be finally be hitting our screens on July 10th (don’t forget, those in Cork can catch the film as gaeilge at this Summer’s Film at Fitzy’s event) . To mark the long awaited release, a new trailer has arrived giving us another look at the movie’s flawless animation and heart warming story. 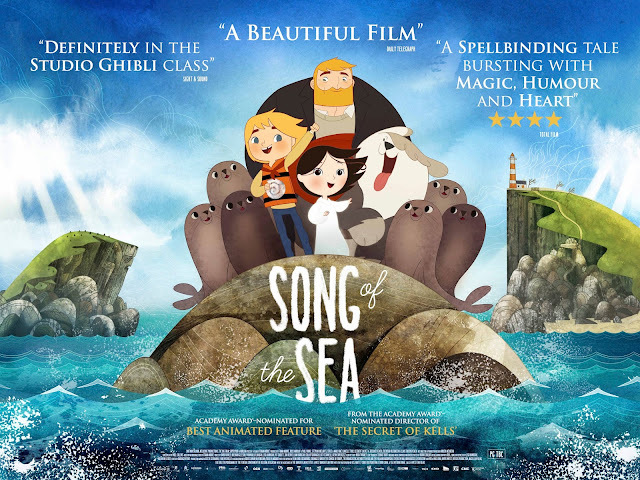 Synopsis: Song of the Sea tells the story of Ben and his little sister Saoirse - the last Seal-child - who embark on a fantastic journey across a fading world of ancient legend and magic in an attempt to return to their home by the sea. The film takes inspiration from the mythological Selkies of Irish folklore, who live as seals in the sea but become humans on land.